Home > SEO Copywriting > Can Google Index Disqus Comments? No But Here Is How. 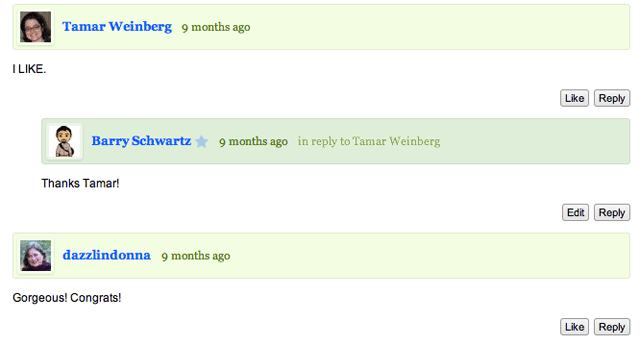 Personally, one of my favorite features on my site is the commenting, which is powered by Disqus. When we implemented this on version 4 of the Search Engine Roundtable, I made sure to leverage the Disqus API. (1) I wanted to own all the comments and have them as a backup in my own database. (4) I also wanted Disqus to deal with the comment spam and server load issues caused by that. So to a user, the comments seem to be fully powered by Disqus. But I manage the comments via the API but on the CMS backend we built. So when I remove a comment for spam, it removes it from both the search engine's view and user's view. Let me say that this is not cloaking or anything like that because users and search engines are seeing the exact same content. That being said, let me show you how it works. Anyway, it works well for me and I kind of feel I get the best of both worlds with this solution. It isn't "easy" to code this all out, but I feel the approved comments add a lot to the articles I post here and thus want them indexed by the search engines. Previous story: Google Places Ads: Preferred Google Vendors?